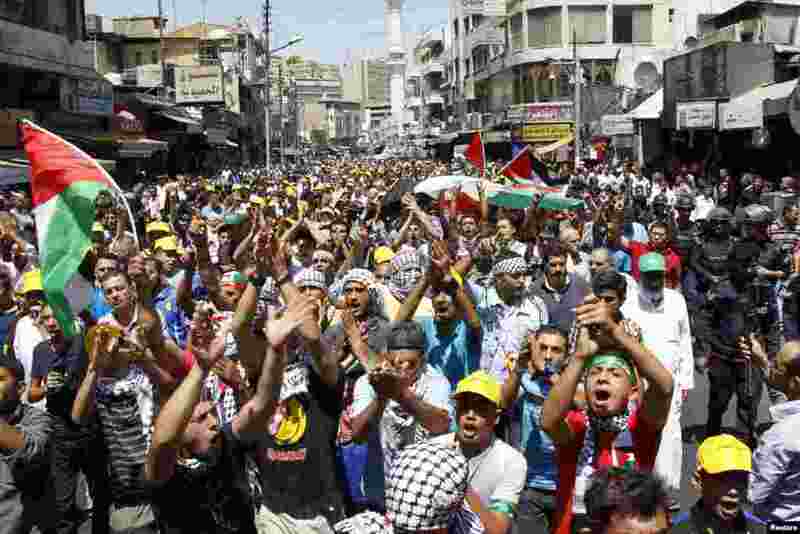 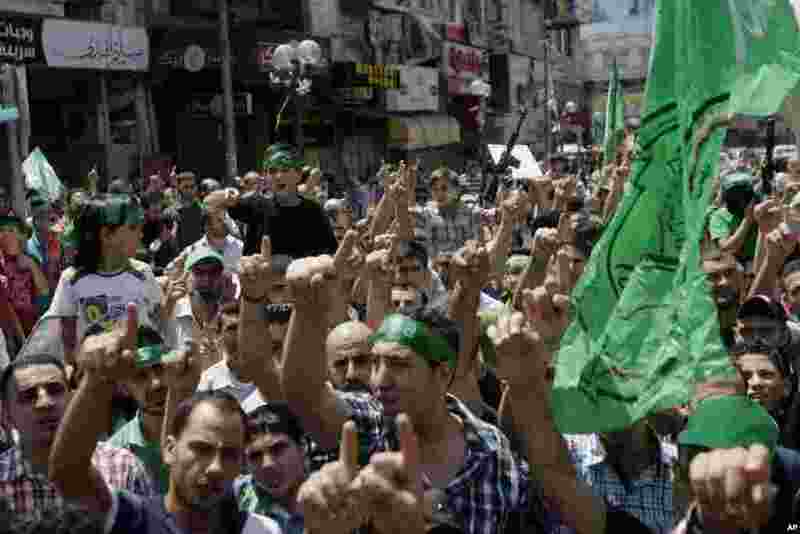 1 Palestinian demonstrators rally in the West Bank city of Nablus, Aug. 15, 2014. 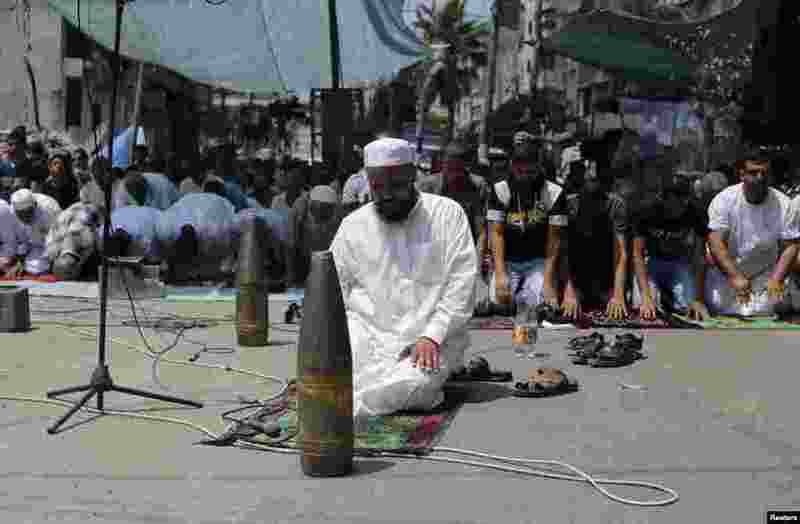 2 Palestinians perform Friday prayers next to the remains of a mosque which was destroyed by an air strike, Gaza Strip, Aug. 15, 2014. 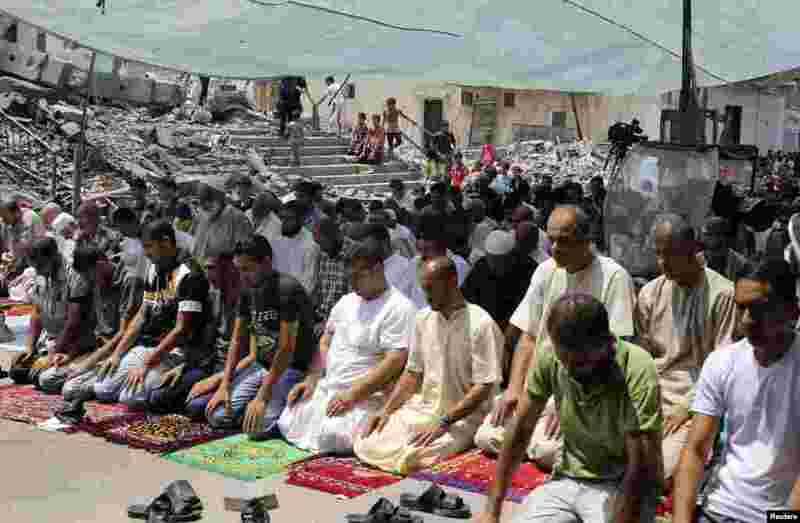 3 Worshippers pray amid disarmed shells near the remains of a mosque that was destroyed by an air strike, Gaza Strip, Aug. 15, 2014.